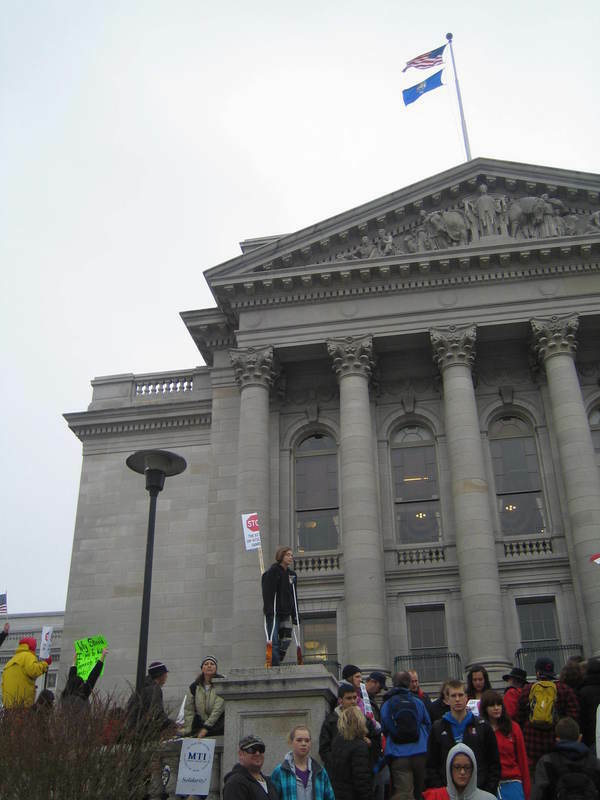 When I arrived at the Capitol, I saw a girl standing on the stone structure holding a poster. When I got out of the Capitol, she was still there, standing still. I did not know how she got onto that tall place. But this picture remained in my mind till today. Tang, Jacky, “The girl with crutches,” Wisconsin Uprising Archive, accessed April 23, 2019, http://wisconsinuprisingarchive.org/items/show/193.